Our family will be getting on a plane this week and flying to our new home! It will also be the first time that all seven of us will fly together, and with four little ones, I’ve been trying to think of different ways I can keep them all occupied for the trip. 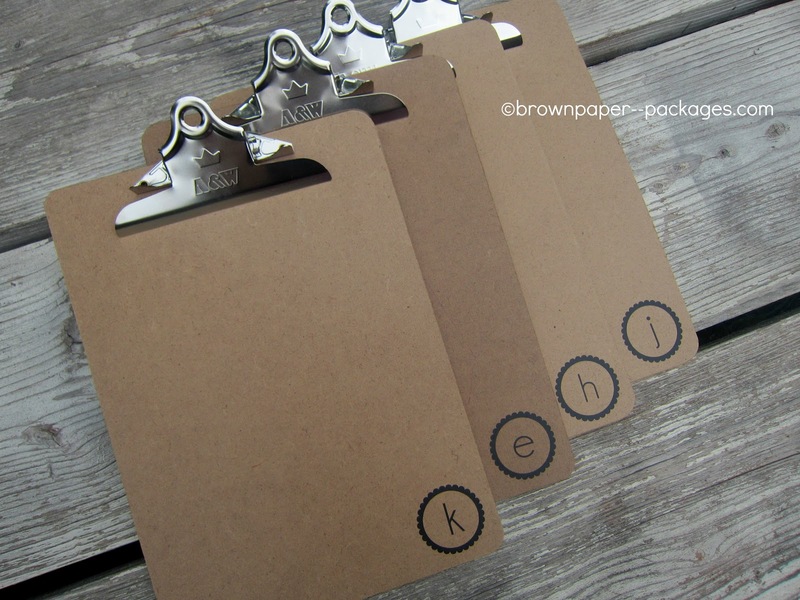 One of the things that I’ve always had in our church quiet bag is a clipboard or two. 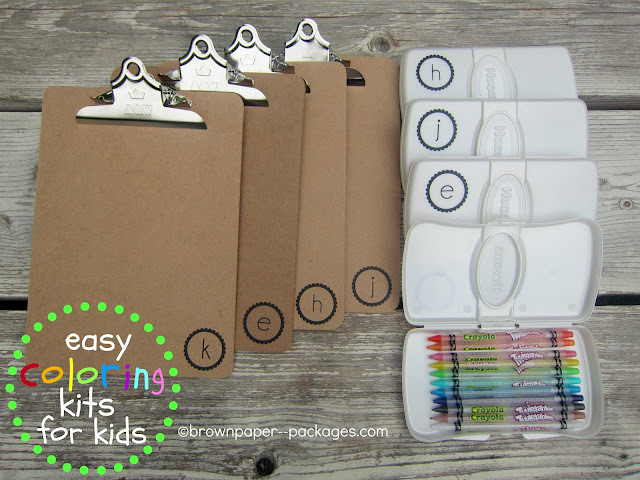 I love them for kids, because they fit perfectly in their laps, give them a hard surface to write on, and keeps their paper or coloring page still and in one place. 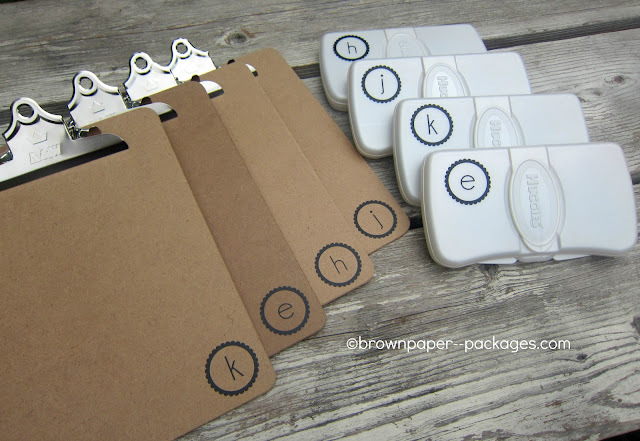 As I was brainstorming ideas, I realized that a clipboard for each of their backpacks would be perfect, and then I could stick them in our church bag after we arrived. Next step…something to color with! 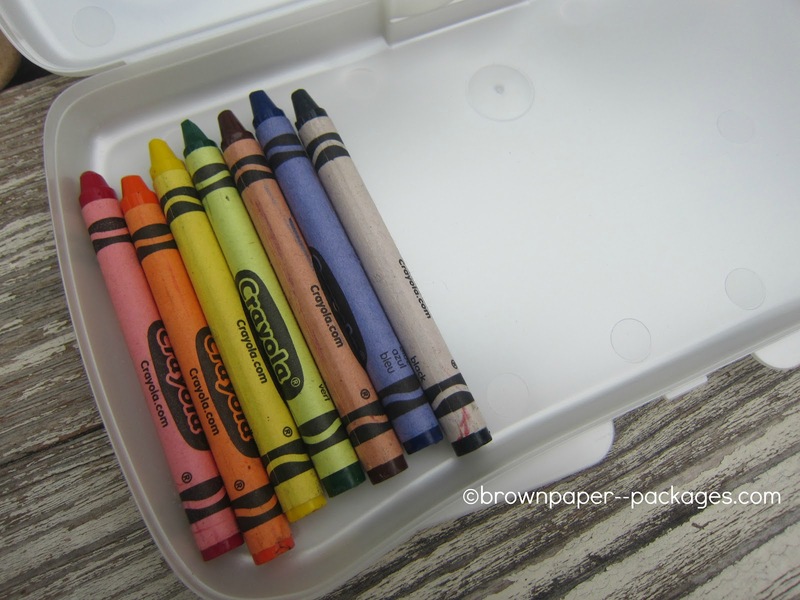 I love using an empty wipes case to keep crayons or colored pencils in. They are just the right size, and it’s so easy to have one for each child (plus, it cuts down on any arguing over them). Add the clipboards and wipes cases together, and you’ve got easy coloring kits for kids! These are great for any kind of travel, and are super cheap to put together. I bought clipboards at a local retail store for $1.50 each, and the wipes cases were $1 at Walmart. 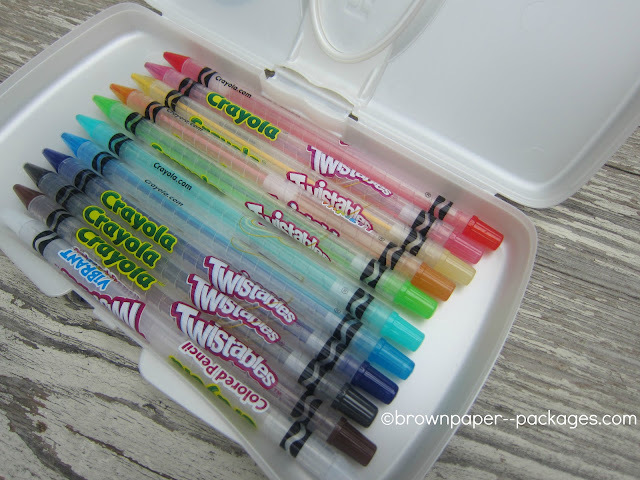 My kids love the Twistables colored pencils by Crayola, and two packs was easily split between the four of them. For under $5 each, I made four new kits. The wipes cases are perfect for diaper bags, purses, and bags, and clipboards can be used in the car, airplane, church, and more! You guys know that I’m crazy for monograms, and to make sure that each child could tell which one belonged to them, I added their initials in vinyl that I cut on my Silhouette. If you don’t have one, not to worry–you could easily use stickers. 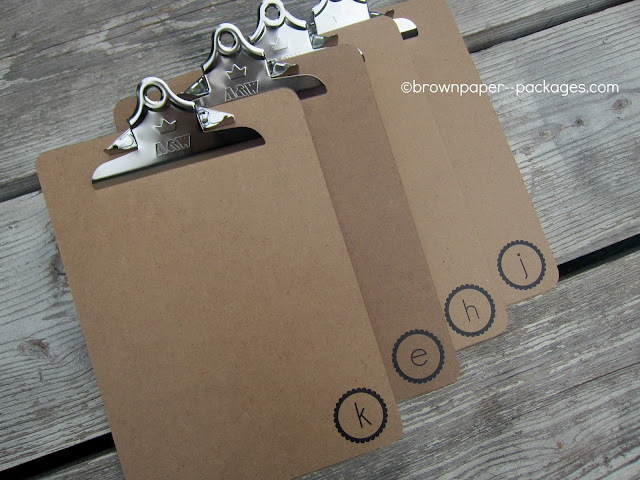 You could also print out their name on cardstock, mat it on scrapbook paper, and mod podge it on. 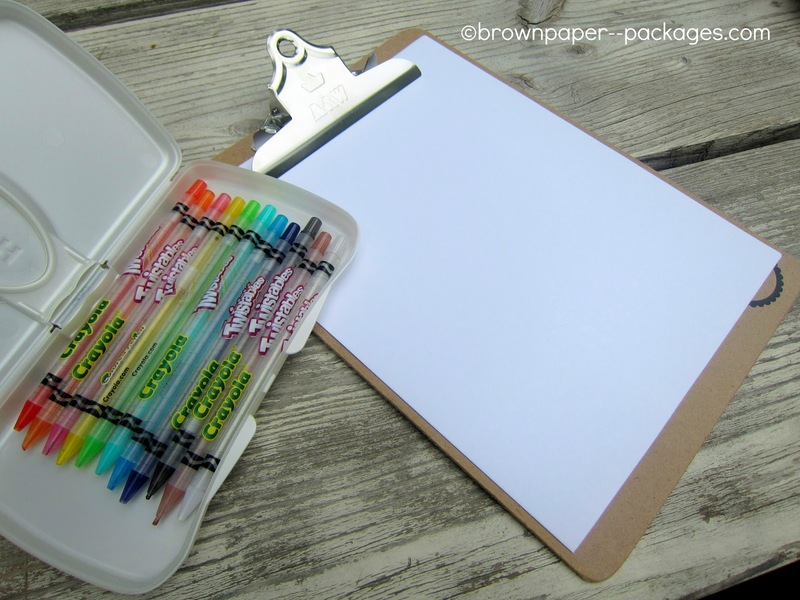 We like using regular copy paper to color on, but anything will work—lined paper, coloring pages, etc.